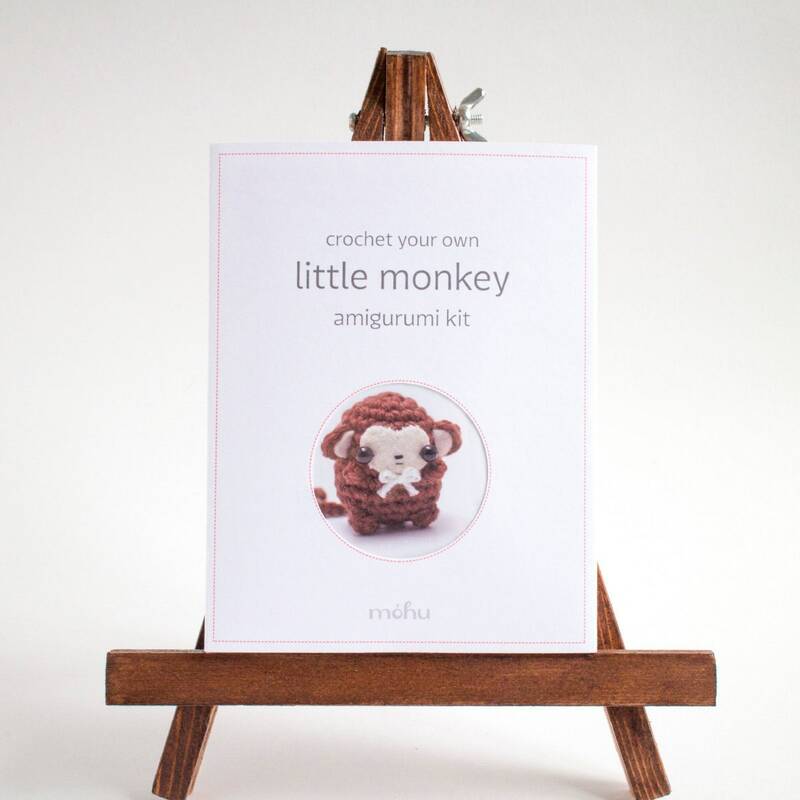 This crochet kit contains everything you need to make your own amigurumi monkey. 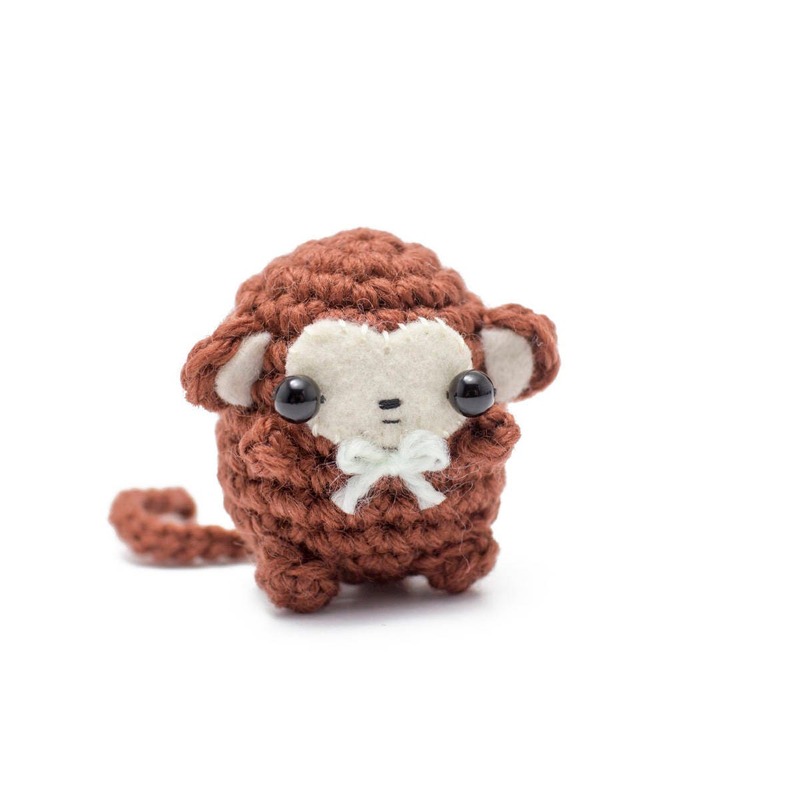 The crochet monkey is an easy project, and is about 5 cm / 2" tall when finished. 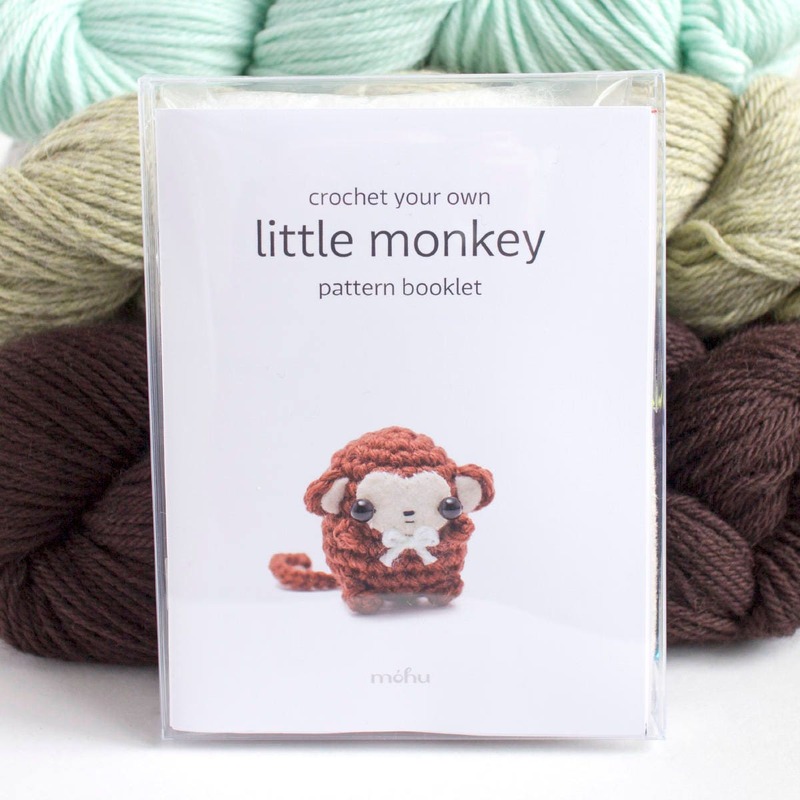 A handmade pattern booklet is included - it contains the crochet pattern, crochet charts, and step-by-step photos. 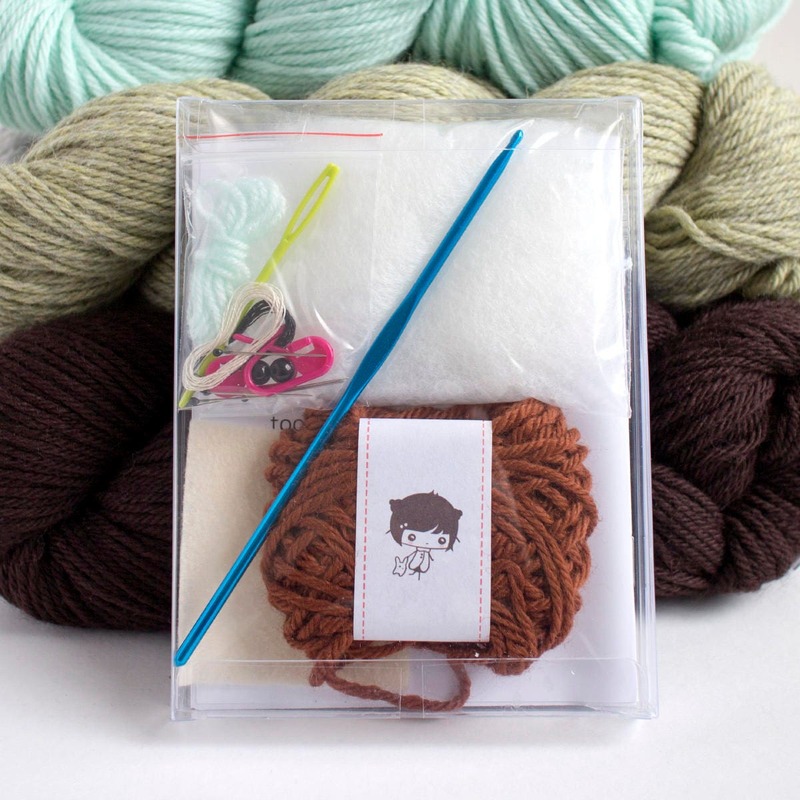 Each kit comes in a neat little box, making it a lovely craft gift. 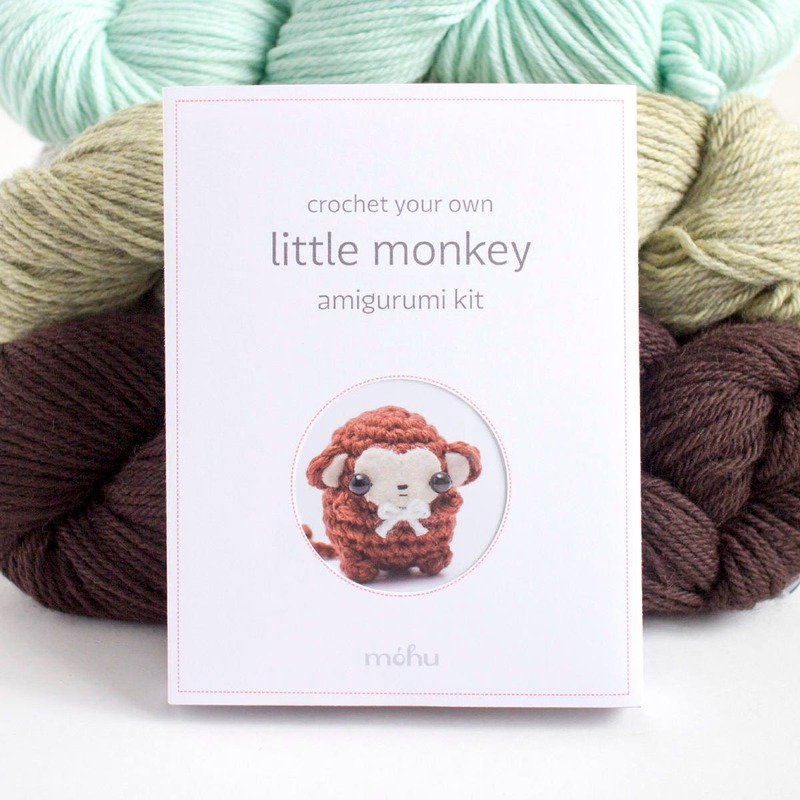 The finished amigurumi monkey is not included. 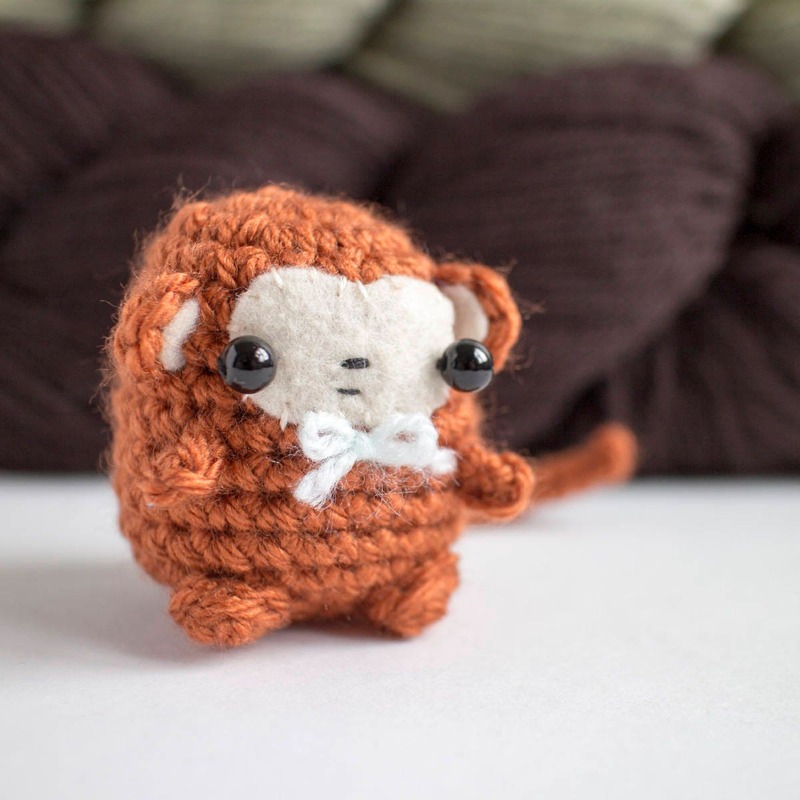 Excellent seller. Great product. Recommended.